Banks and business financing are usually the first steps towards setting up a business. 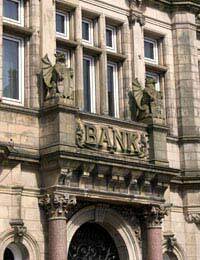 When it comes to business loans and overdrafts the bank is usually the first point of call. But business financing with a bank is not all about loans, and there are many more services that can be used to help finance a business. Financing a business does not just include long term loans and business overdrafts. Banks provide many different services and financial products that can be used by a business. Banks will be able to offer information and advice on the best products to suit a business. However, in most cases banks will only provide information on products and services that they sell, and they will usually be working on a commission basis. Always remember to shop around for the best deal before signing your name to any financial service or product. These are just a few of the services that are available to business customers. Each bank will have their own services available, and the services provided may vary from bank to bank. It is a good idea for any new business owner to make an appointment with their bank to find out exactly what can be offered to business customers. Business loans are one of the major services for business customers. However, gaining a loan may not be all that straightforward, especially if you are a start-up business. One of the key stipulations of a business loan is that the business must have been open for a certain length of time. Most banks will require a business to have been running for at least two or three years and to have accounts for this time. This is not required by all lenders but the rules laid down by banks for new business loans are quite strict. A key issue when applying for a loan is to make sure that you can prove your ability to repay the loan. Ability to repay the loan can be shown with a solid, credible business plan with cash-flow forecasts included. The ability to provide security on the loan will also be needed for secured loans. Security may come in the form of personal property such as the home, or business property such as business assets. A business without any assets may find it extremely difficult to obtain financing whether it is a loan or an overdraft. Banks are well aware of how many businesses fail in the first few years. If you are applying for a loan then success may depend on your ability to reduce the risk for the bank. By reducing the risk for the bank you may be able to negotiate better terms on the loan. Again, reducing the risk can only be achieved by offering some form of security on the loan. Another way of reducing the risk will be to show that you have enough confidence in your business to place some of your own funds into it. In a number of cases a bank will not lend money unless the business owner has also put on a significant amount of money. Overdrafts are a common financing method especially when it comes to working capital. Overdrafts are a form of revolving credit that can be very useful in emergencies. Interest rates can be high on business overdrafts and it is vital that they are repaid quickly. Use overdrafts only as a short term financing option and do not abuse this facility. Banks can withdraw this facility if they feel that it is being abused, even if they are making a tidy profit from the charges and fees they are applying. A great number of businesses would not be able to operate without some form of financing provided through a bank. Overdrafts, loans and other financial services are necessary in the business world simply to stay afloat. However, business customers should always shop around to obtain the best interest rates and deals. If a better financing deal can be found elsewhere then inform your own bank, they may renegotiate rather than lose a business customer.